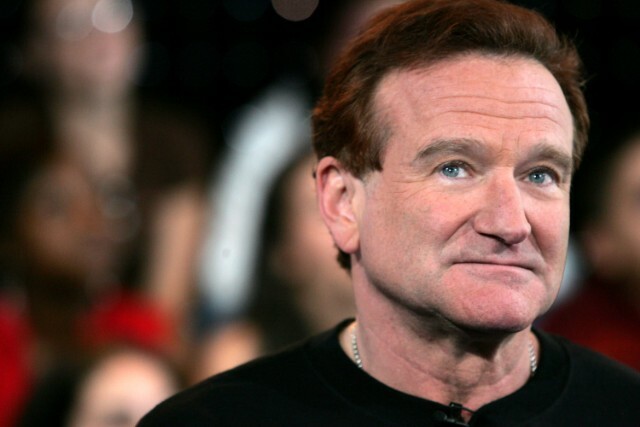 Naturally, many of the in memoriams following Robin Williams’s tragic suicide in 2014 glossed over one uncomfortable fact: in the later years of his life, the legendary comedian had become something of a punchline himself. Williams’ persona-based, hyperactive shtick had become so ingrained in popular culture over the preceding decades that, to many, it began to feel ossified and out-of-fashion. (“Let Us Now Bash Robin Williams,” reads a Huffington Post headline from 2010.) A new HBO documentary about Williams postulates that he may have started to feel the same way at a certain point—or that he couldn’t ignore what the fans and critics were saying about him. More importantly, Robin Williams: Come Inside My Mind clearly demonstrates the unprecedented nature of his career, from his emergence in the mid-’70s as a Juilliard-trained hippie chameleon on the West Coast standup scene onward. Driven by Williams’ manic energy and imagination, Come Inside My Mind paints its subject as a seemingly unstoppable dynamo who built one of the most successful comedy and film careers of the final quarter of the 20th century, despite obstacles both personal and systemic. It interrogates the emotional factors that led to his slow professional decline in the early 21st century but remains tasteful when detailing his life and work. Director Marina Zenovich doesn’t try to psychoanalyze him, instead offering anecdotes and theories from colleagues who knew him well, including David Letterman, Eric Idle, and Billy Crystal. Williams himself talks through some of this too, in voiceovers excerpted from old interviews. Poetically, and sometimes hilariously, the comedian details his addictions to cocaine and alcohol. He hints at the deeper insecurities that drove him to become a performer and, to some extent, to be performing at all times. Come Inside My mind is sporadically similar to another revelatory recent film about an enigmatic, polarizing, and wildly popular comedian: last year’s Jim and Andy: The Great Beyond. Behind-the-scenes footage of Williams on the set of Mark Romanek’s unsettling 2002 thriller One Hour Photo recalls Jim Carrey’s aggressive “method” approach as Andy Kaufman in Man in the Moon. As with Carrey, one can imagine how irritating it must have been to deal with Williams, who was constantly joking and derailing takes. The scene, however, is poignant: Williams’ antics could be suffocating, but given the right context, they could help drive him toward wholly unique, technically virtuosic performances. Many of the best of those are highlighted here, such as Mrs. Doubtfire, Good Morning Vietnam, Robin Williams: An Evening At The Met, and World’s Greatest Dad, as well as underappreciated roles in 1984‘s Moscow on the Hudson and 1990’s Awakenings. The movie’s most arresting and thought-provoking clip is of Williams’ impromptu speech at the 2003 Critics Choice awards. In a three-man Best Actor category, Daniel Day-Lewis tied with Jack Nicholson, beating out Williams, a dark horse nomination for his compellingly creepy-sympathetic role in One Hour Photo. Nicholson, perhaps insensitively, calls Williams onstage to deliver his speech for him—to make it “funnier.” Williams instead delivers a sort of anti-acceptance speech, jokingly detailing how worthless the Critics have made him feel. Presented essentially uncut, the appearance showcases Williams at his improvisational best. It is also imbued with a pervasive sadness, mixing sharp, eccentric punchlines with slightly grating low-brow stage antics. It inspires laughter from the audience that reads as both awkward and sincere. It’s a standard-issue Robin Williams routine delivered in an uncomfortable and unusual context: Williams as an underdog, marginalized by critics instead of vaunted. The film implicitly casts this incident as a bit of cryptic insight into Williams’ psychological state at the time, before his descent into substance abuse and poorer reviews than ever. Throughout, Come Inside My Mind crucially refuses to gloss over or excuse the less endearing elements of Williams’ career and personal life (his serial infidelity, for instance). It also does not attempt to reinvent the tropes and formulas of TV documentaries. But with personal and sometimes unfathomably sensitive subject matter like this, hands-off and humble is a well-considered approach. Provided one harbors some sympathy for Williams’ talent and seismic cultural impact, Come Inside My Mind reads as even-handed, avoiding hero worship or condemnation. Because Williams was so many different things to so many different fans, across generations, the film banks on the fact that he’s probably touched you at some point, or many. After watching this movie, that assumption doesn’t seem controversial.